Here are the last of the Fiesta photos! I bought plain wooden maracas and wood markers so people could decorate their own. And they actually did! I think it's nice to have an activity like this at a party, especially when not all the guests know each other - it makes for easy conversation. 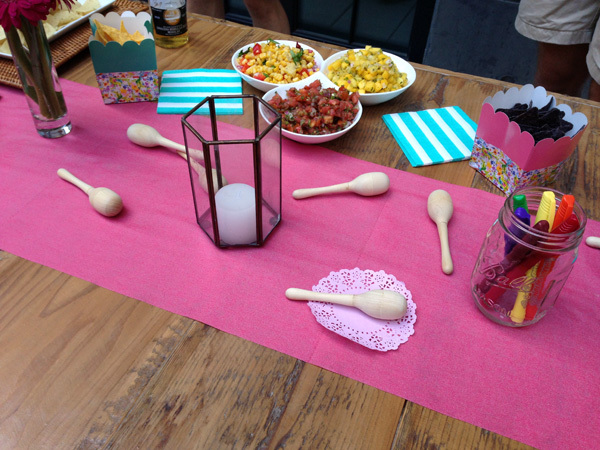 I used Shop Sweet Lulu's floral fiesta treat holders to hold the tortilla chips. Not pictured is the make your own taco station - I was too busy to take photos! I also didn't get a photo of the dessert because it went so fast. I made Martha Stewart's Tres Leches and it was incredible. It's a perfect summer dessert, I highly recommend it if you're having a BBQ or any other backyard summer party. 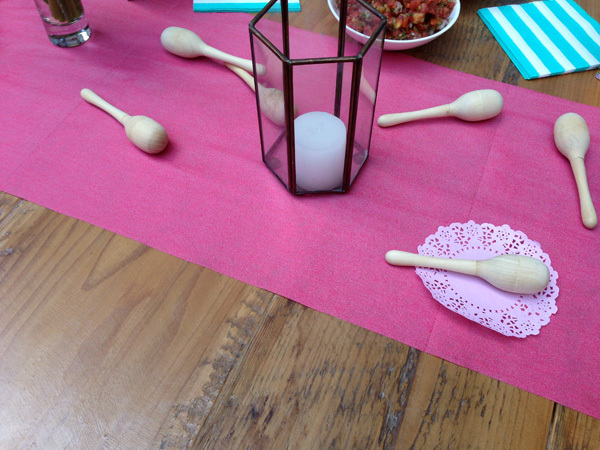 I served it on these floral fiesta dinner plates with wooden forks. Don't forget, today is your last day use our special promo code, BCBFIESTA for 10% off at Shop Sweet Lulu. This is a great opportunity to practice preparation for celebration! Check out their "Yankee Doodle Dandy" section to stock up for the 4th of July. The Stars & Stripes Mix of paper straws would be perfect for an Independence Day bar cart! I also recommend stocking up on birthday party essentials like candles, cake stands, and baking supplies. I guarantee once you receive these items you'll find an excuse to throw a party! I haven't forgotten that Father's Day is this weekend. 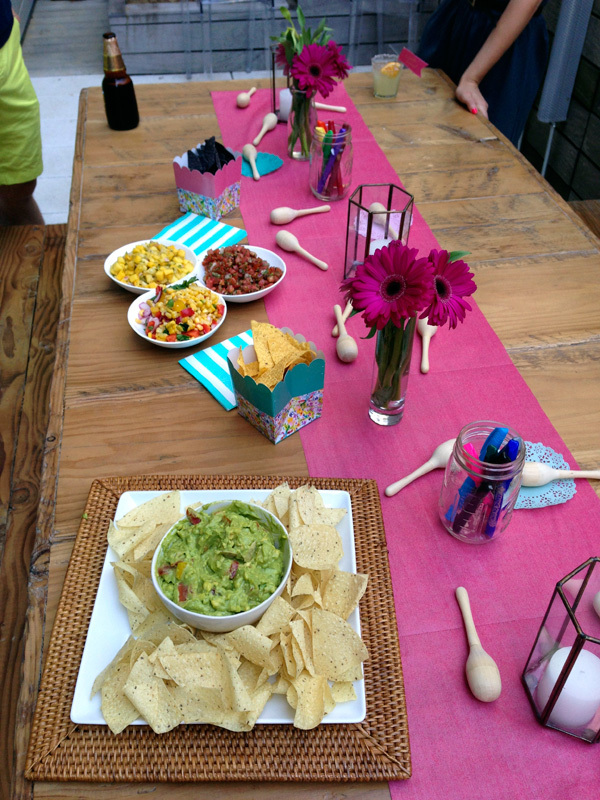 I'm sorry I was too preoccupied with Fiesta details to put together a gift guide for you! You can look to my past gift guides, like Valentine's Day Gifts for the Mister (they'll work year-round), and there are a lot of unisex ideas here. To top them off, I absolutely LOVE this printable Father's Day gift wrap.